Any student can be a leader in some way or another so a variety of avenues for skills building is offered. 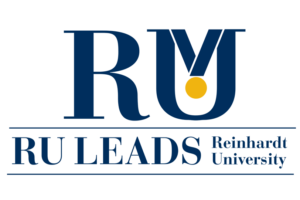 RU Leads seeks to empower students to develop lifelong leadership skills that can be utilized within diverse educational, social and business settings. The Office of Student Activities offers a number of leadership development opportunities, which include conferences and workshops. Through participating in various leadership events, students have the opportunity to apply leadership skills on and off campus. Summary: As we start a new semester we might find ourselves in our groove or still burnout from the semester before. In this session you will fall in love again with your various leadership roles and will find a way to balance your life both in and out of the classroom. Identify your reason, working to figure out why you picked the leadership role you are in and how you can continue to improve within this role- Knowledge/Understanding. Creating a balance of life both inside and outside the classroom, prioritizing tasks. Summary: In this one-hour session you will learn to ask the right questions to the right person to avoid the “NO” response. As the academic year comes to a close, and some will be moving to the next stage of adulthood, we take time to evaluate the many talents and skills gained throughout the year. This session will help you to feel empowered and ready to activate in the “real world” come May 2019! Walk away with a strong list of strengths and skills you have developed during your Reinhardt experience. Complete a goal statement about how you will expand your skill set; seek and plan for appropriate experiences in the coming year to fill your platform of offerings/skills. Establish a theme for the “person you are” and what you bring to environments where you work, engage or serve.